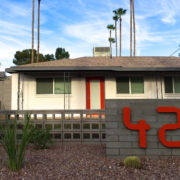 Arcadia Flats @ 37th Street offers an investor the rare opportunity to acquire an extensively renovated asset located in a dynamic east Phoenix location, quickly becoming one of the hottest neighborhoods in all of central Phoenix. With strong submarket fundamentals coupled with the Phoenix market’ s continual improvement and recovery, Arcadia Flats @ 37th Street is well positioned to achieve continual revenue increase. 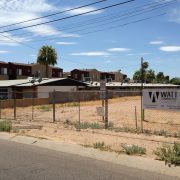 Arcadia Flats @ 37th Street offers style and convenience while raising the bar for urban apartment living in central Phoenix. 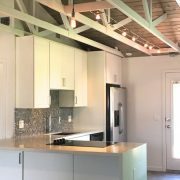 Developed in 1955 and 1962, the subject property was fully renovated in 2017, using high-end finishes and updating with modern contemporary design. 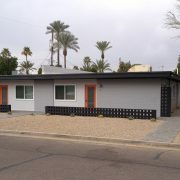 The unit mix is comprised of seven (7) 1-bedroom / 1-bathroom units of approximately 527 square feet. Interior property upgrades include in-suite laundry, stainless-steel appliance package, stainless steel sinks with garbage disposal and retractable multi-setting faucet, quartz countertops with porcelain tile backsplash, wood-look ceramic tile floors, porcelain tile shower surrounds with new fixtures, premium lighting, and low-flow toilets. 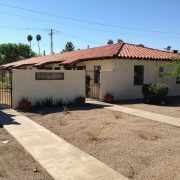 The revamped exterior features a manicured courtyard with pet friendly accommodations. 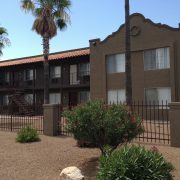 All units have private rear patios and covered parking. 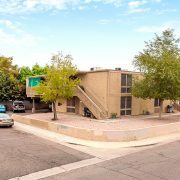 The subject property also has great access to the Valley freeway system, the Biltmore, Camelback Corridor and Downtown Phoenix. Arcadia Flats @ 37th Street, is a 7-unit, midcentury modern, single-story, multifamily community located in the Arcadia neighborhood, near boutiques and popular eateries such as The Vig Arcadia, La Grande Orange Grocery, Postino WineCafe, Beckett’s Table, Crudo, Nook, Chelsea’s Kitchen, North Italia, The Yacht Club, Buck & Rider, Steak 44 and The Henry. 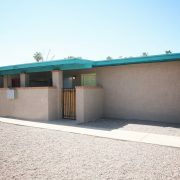 The property is located in Phoenix’s Arcadia area, east of the SR-51 Piestewa Freeway, west of 40th Street, north of the Loop 202 Red Mountain Freeway, just south of Indian School Road, along 37th Street, allowing easy access to the Biltmore area, the Camelback Corridor, the Valley freeway system and numerous employers.